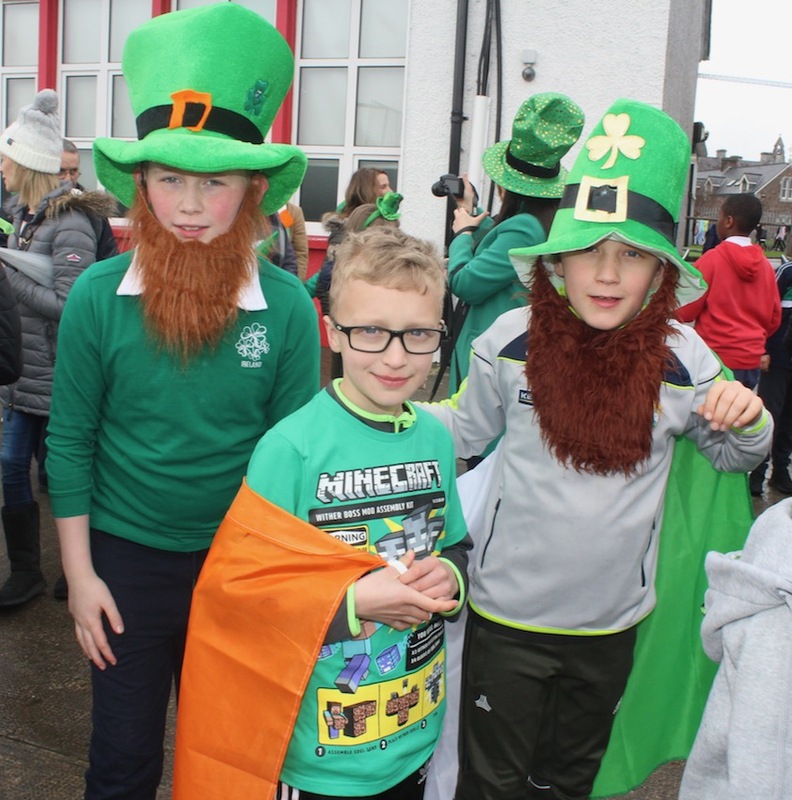 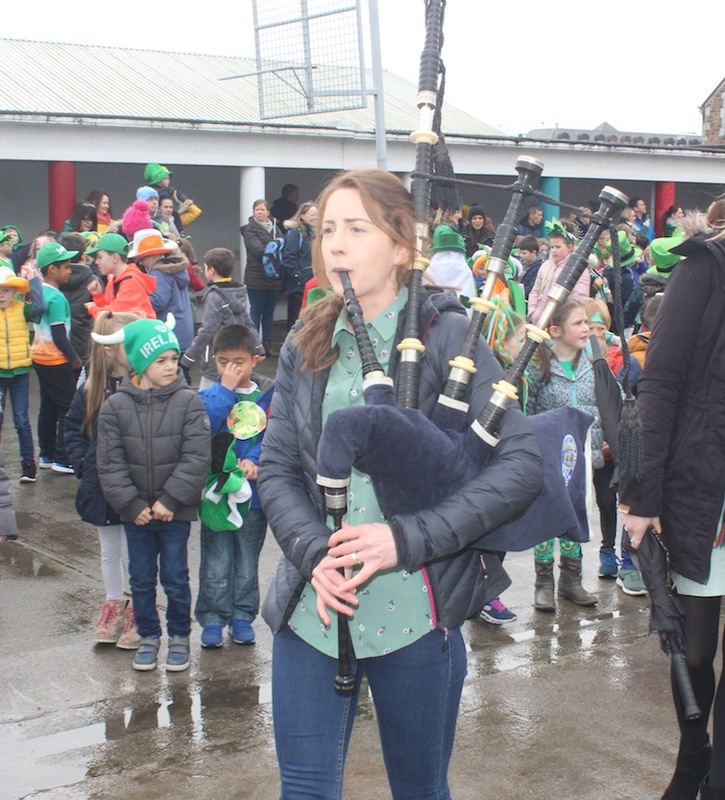 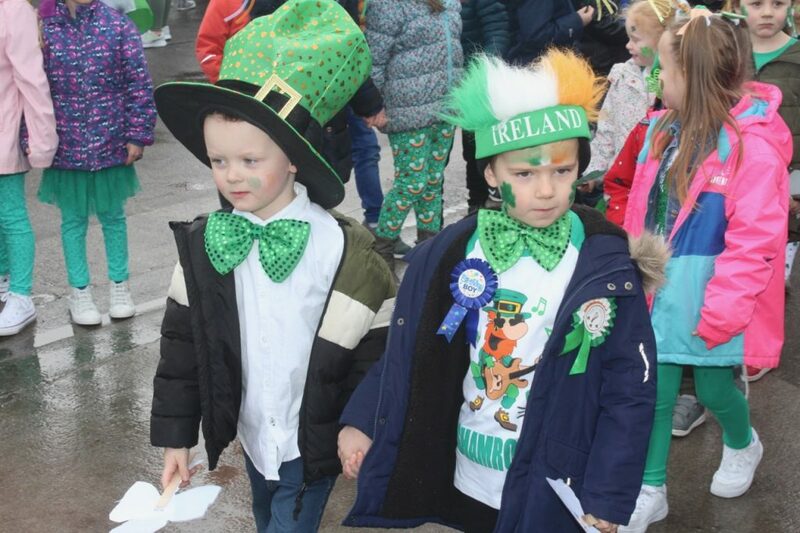 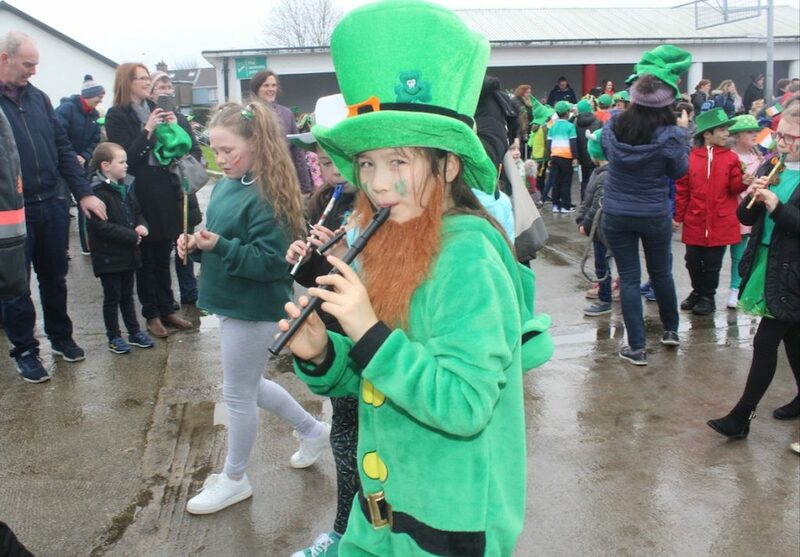 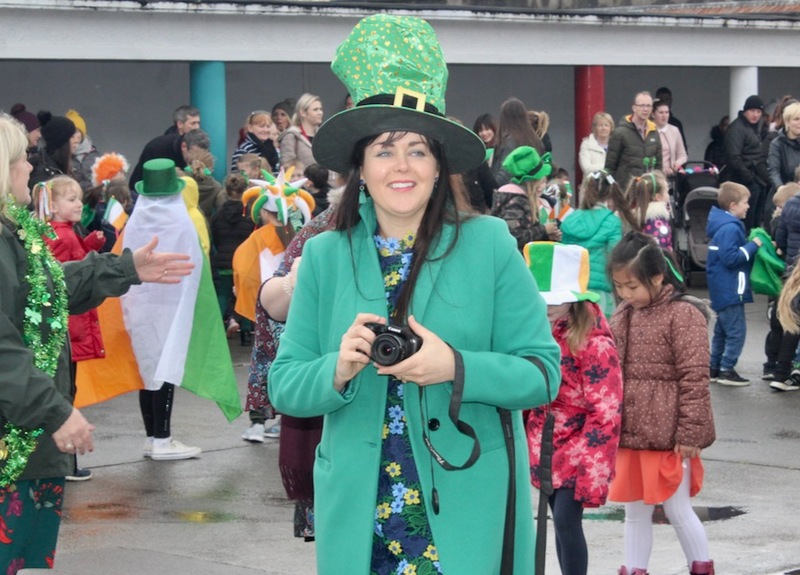 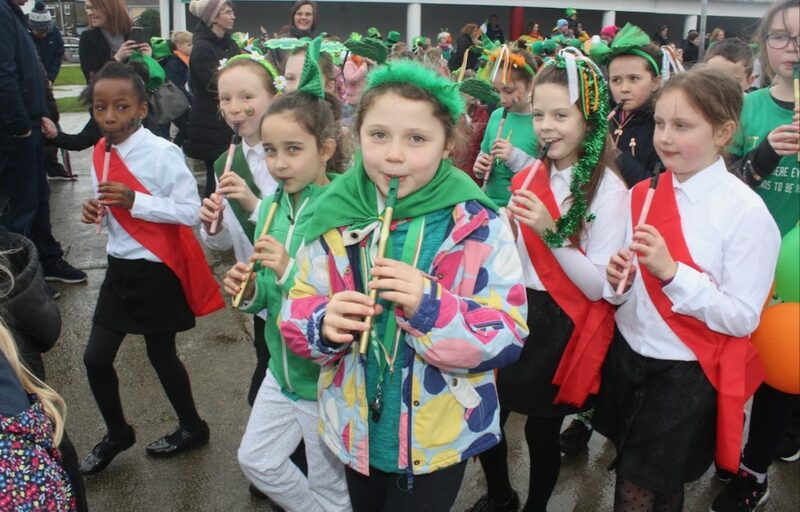 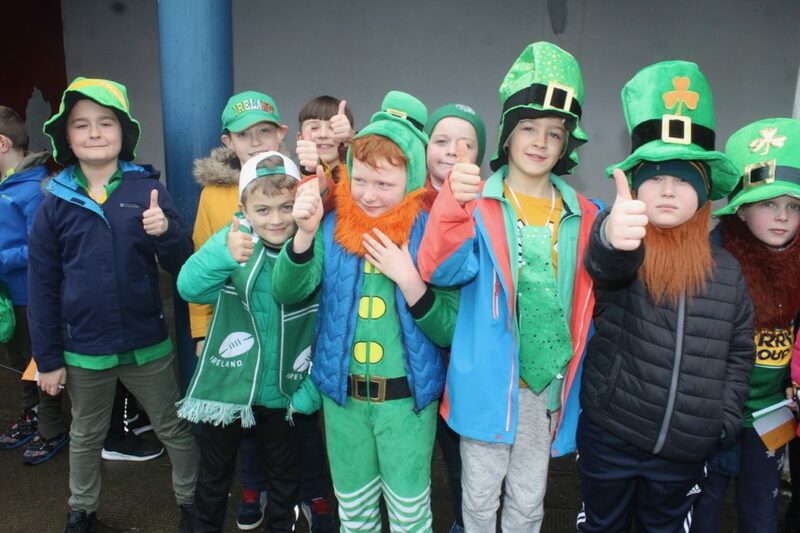 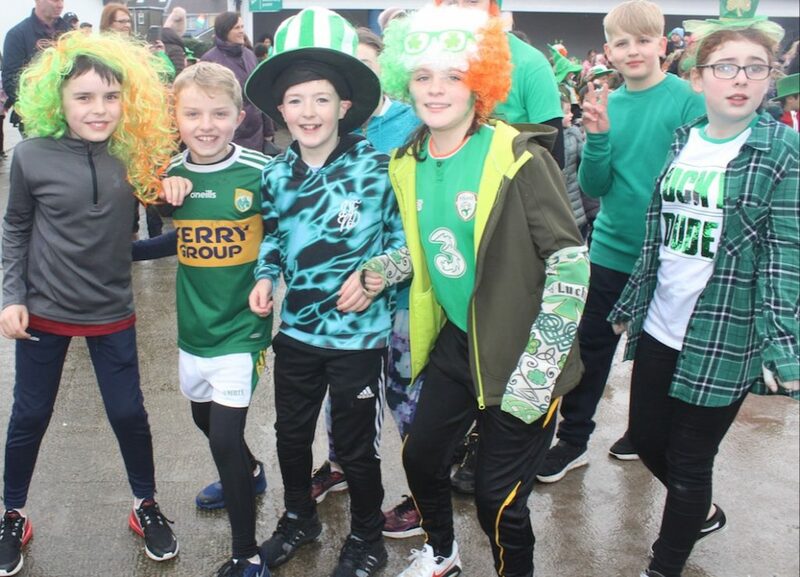 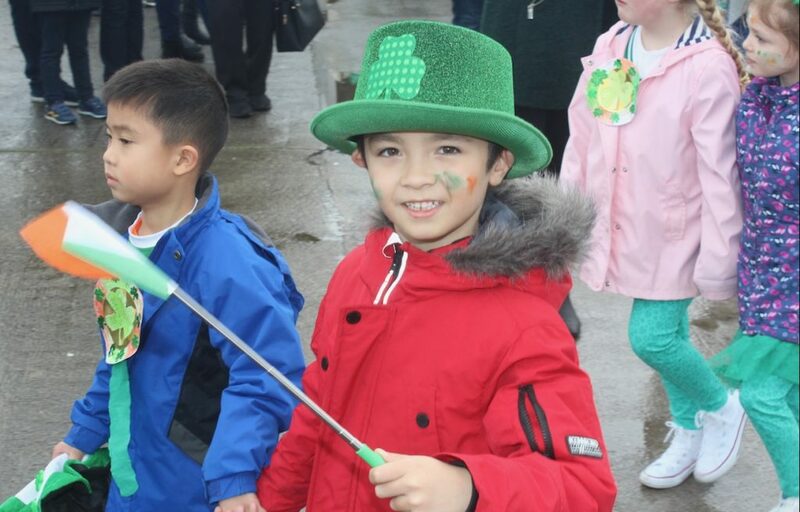 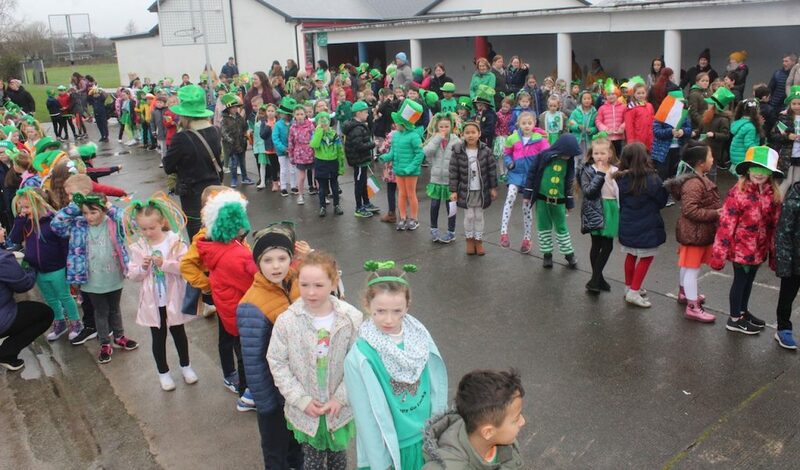 AS is the custom, the St Patrick’s celebrations started early at Scoil Eoin Balloonagh as the whole school came out in the yard for their annual parade on Friday. 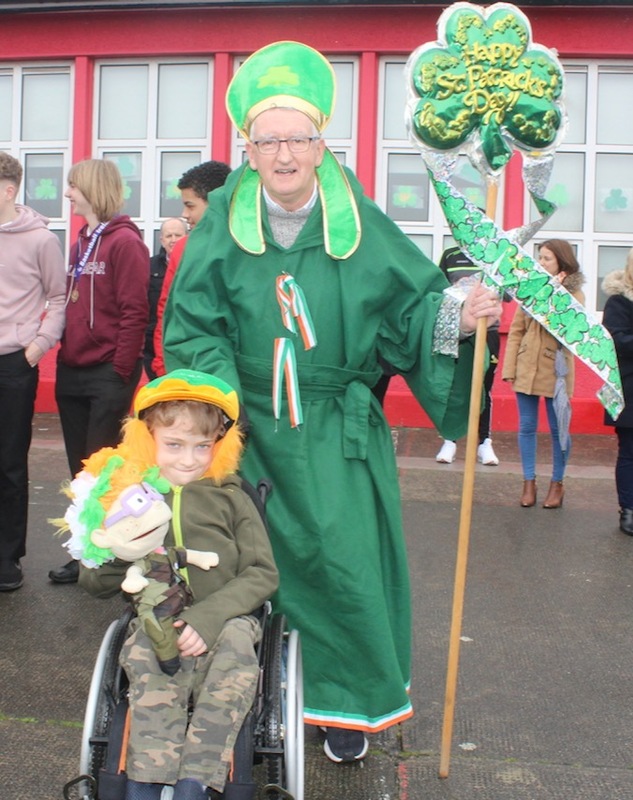 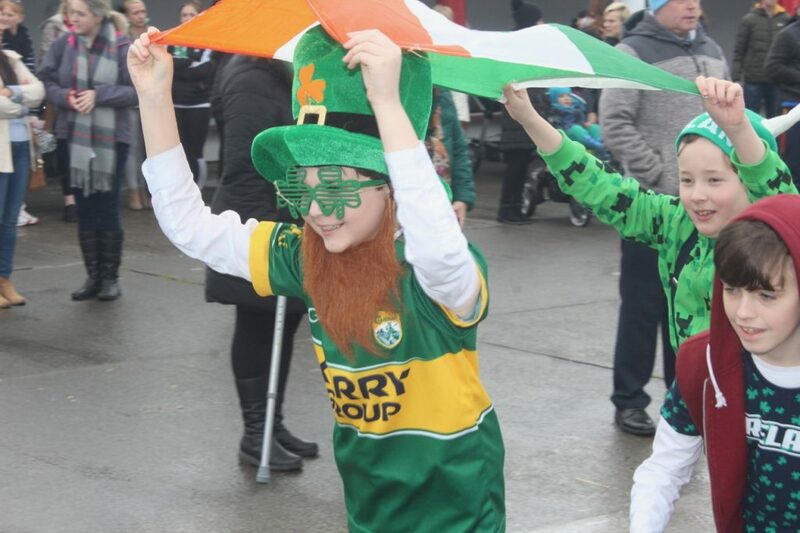 St Patrick (Jimmy Diggins) led the procession with eight year old Ryan Kelliher, a pupil at the school, who has Muscular Dystrophy. 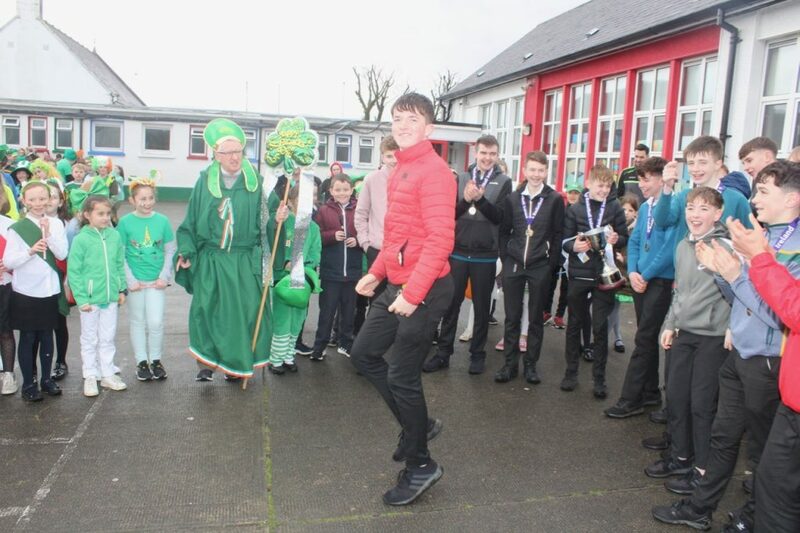 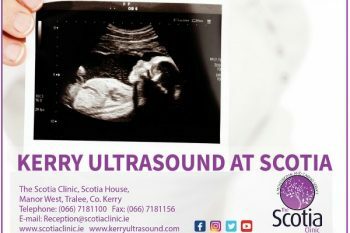 Ryan will take centre stage in town on Sunday when he will be the Junior Grand Marshal at this year’s Tralee St Patrick’s Parade. 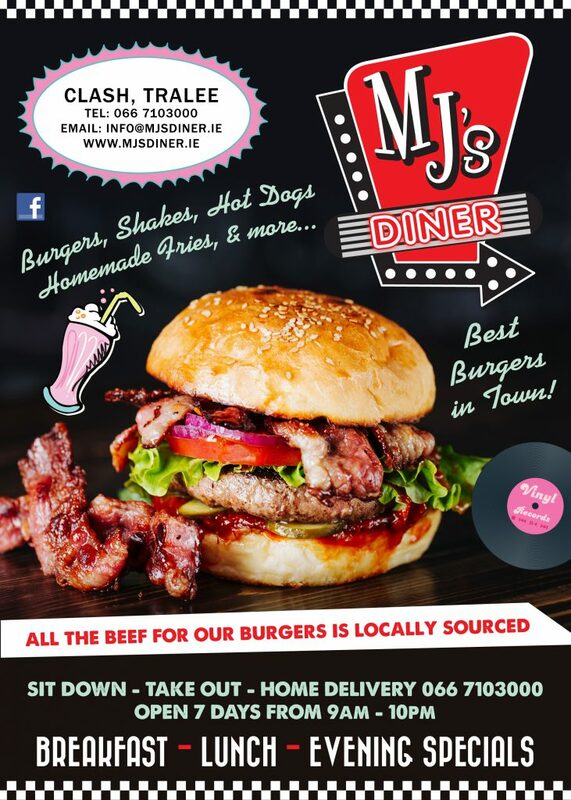 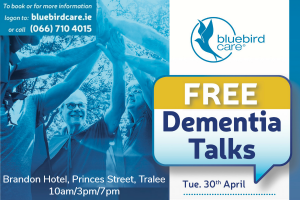 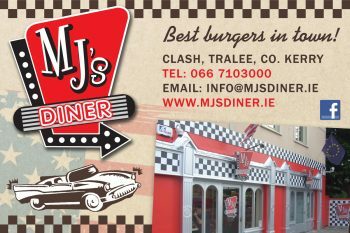 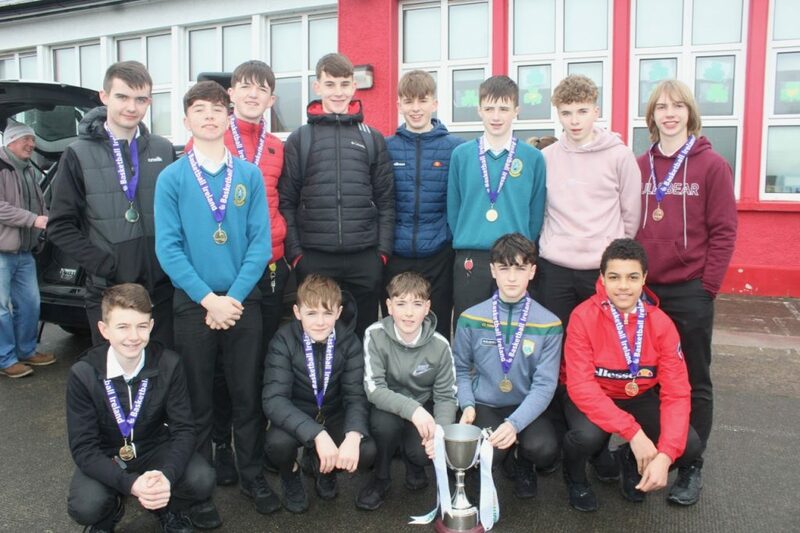 Special guests were the Mercy Mounthawk Under 15A boys basketball team who won the All-Ireland title last month.